Dr.Web (Doctor Web) Anti-Virus is a security solution by Russian development company that getting more and more popular by each passing day, thanks to its free Dr.Web CureIt!. Dr.Web Anti-Virus is the antivirus program that not only excels in ability to detect viruses, but also ability to cure infected files and restore infected files to original state instead of deleting or quarantining the file that may contain important information. Multi-level protection of hard drives, system memory and movable drives from penetrations of viruses, rootkits and various malicious objects from any external sources. Has exceptional resistance to viruses, and thus can be installed and functioning on the already infected PC and can cure it without additional utilities. Dr.Web scanner can be launched from a movable medium (CD or USB storage device) without installation in a system. Most viruses attacking an infected system can be neutralized during installation of Dr.Web anti-virus while scanning memory and startup files. Moreover, virus databases can be updated before the scanning (during installation). Free license to Dr.Web anti-virus for Windows Mobile. Dr.Web Anti-Virus for Windows costs EURO 21.84 to buy for 1 user computer for 1 year subscription, and the customer can renew the license for more than 30% discount for subsequent years. The initial cost is high, but there is a trick to get free serial number for Dr.Web Anti-Virus which entitles owner to free 1 year key file for Dr.Web AntiVirus for Windows. 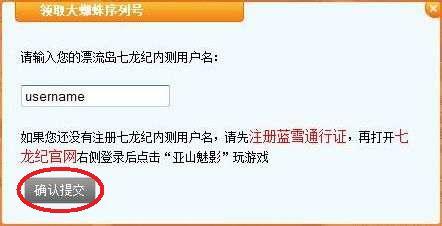 Click on “Register” button when done. 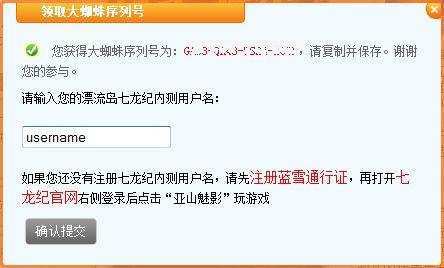 No further action required after clicking on register button. 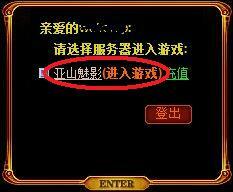 Then go to the “Age of the Seventh Dragon” game site at http://7l.piao6.net/. 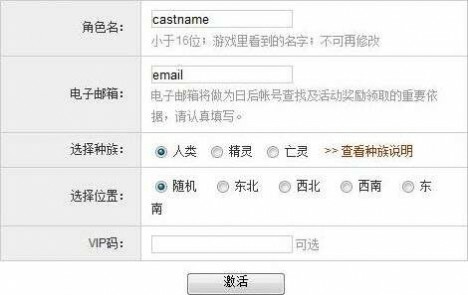 On the right top corner, enter the registered user name and password together with corrent captcha, then click on “Login” button. 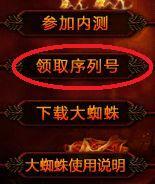 Click on “Start the Game” button to go to game area as circled in red color. A game activation screen will be displayed. Fill in the information required as per screen capture image below. Click on “Activate” button when done. No further action required after activating the game. Now go to the piao6 promotion page for free “Big Spider” (nickname of Dr.Web in Chinese) at http://71.piao6.net/neice/spider.html. Click on “Get Serial Number” button on the center (second button from top). Enter the user name registered above in the text box provided, then click on “Submit” button. After checking the user name ID for validity, a genuine, valid, legit 16-digit serial number for 1 year usage of Dr.Web Anti-Virus will be displayed on screen in red color. Download the setup installer for Dr. Web Anti-Virus: drweb-444-win-en.exe (current version 4.44). During installation, click “Yes” when promoted that no license key file has been found and asked whether do you want to launch key file download utility. Then, choose to activate and download the Dr.Web key file online by clicking on “Obtain a license key file”. 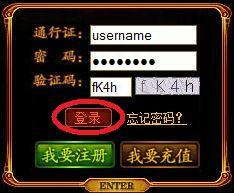 Then enter the 16-digit serial number given by piao6.com for free into the 4 boxes on screen, 4 numbers in a group, and click on “Next” button. Follow on-screen installation wizard to complete the activation process to download the license key file and activate Dr.Web. Some information such as name, country, city and email are required. A license key file, drweb32.key, will be downloaded and stored in C:\Program Files\DrWeb folder. 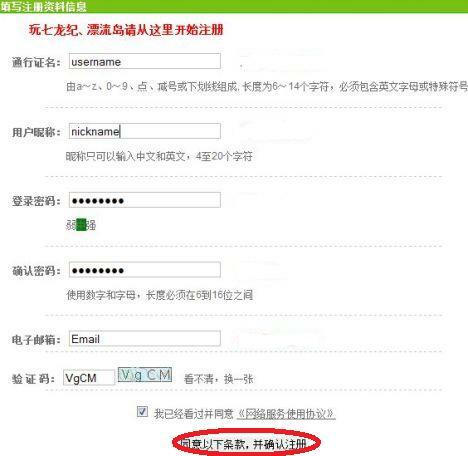 Alternatively, user may go to Dr.Web registration page at http://buy.drweb.com/register/ to register the serial number in order to receive the license key file. Owner of serial number or license key file of Dr.Web for Windows also entitles to free Dr.Web anti-virus for Windows Mobile. The free Dr.Web license key file serial number giveaway is only limited to 5000 key, so do grab fast. Each account and each IP address only entitles to one, of course, there are plenty of workaround to this restriction. For those adventurous, it’s also possible to get a free beta key file for Dr.Web for Windows 5.0 for testing.